Last year we saw a lot of naked wedding cakes. This year, I am seeing a lot of creativity and thinking outside the box. 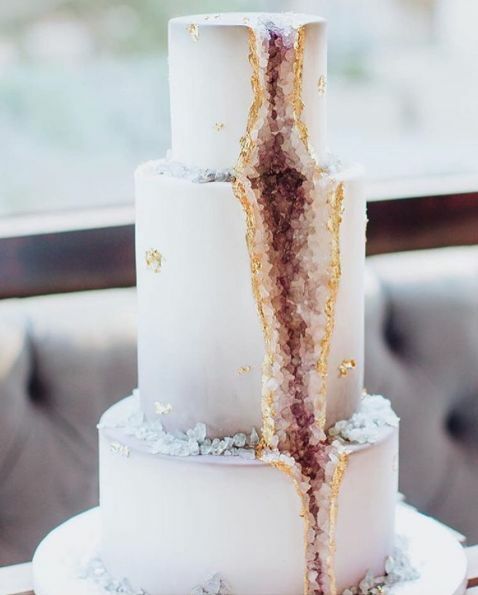 What do you think of this quartz wedding cake? 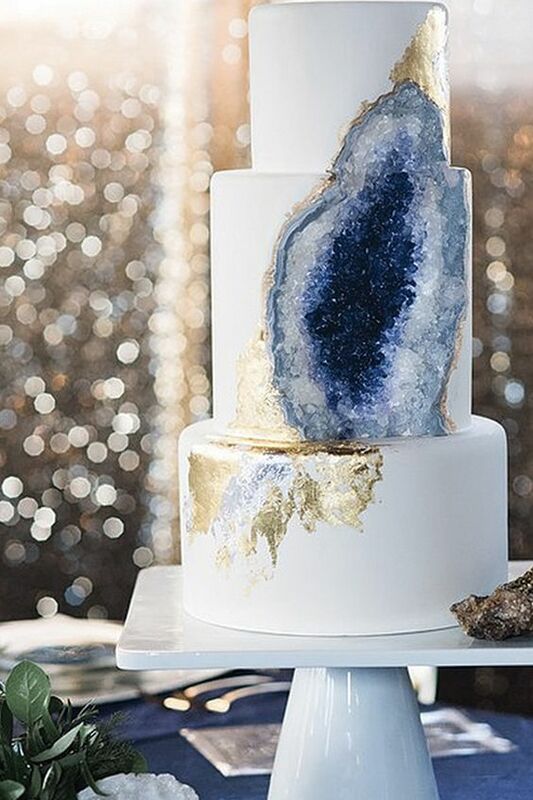 Also known as geode wedding cakes, this modern trend will continue in 2017. Thanks to Carries Cakes for the cake and Emilie Ann Photography for the photo above.